My first book became invisible. Not straight away, but down through the years since its publication in 1990 the atoms have become transparent, its characters seeped into walls until I can see them no more. Invisible, that is, until I began writing this article, then for the first time in five years I noticed the thin yellow spine almost hidden by novels that came after Blood & Grit, that first book of mine. Don’t get me wrong, I love the book. 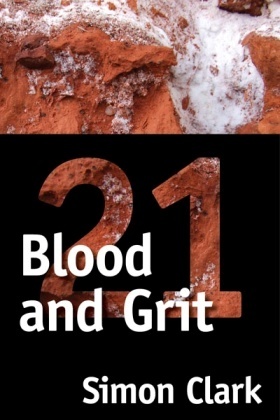 It’s just that Blood & Grit is sixteen years old and as I got caught up in the hell-for-leather-work-like-a-loon world of being a professional author I -- and I feel guilty even writing these words -- I stopped noticing the book was even there. Okay, that’s my tell-tale heart guilt-thing, isn’t it? And while I’m at the confessional I can admit that Blood & Grit earned me very little cash, the film rights didn’t sell, there were no translation sales, and yet the book might as well have possessed magic powers: it opened the hitherto locked (for me) doors to the big commercial publishers, I found myself in radio studios talking about Blood & Grit, then in front of TV cameras, then appearing in national newspapers. Then being invited to London to discuss my future as a novelist with a top publisher’s editor in the intriguingly named Green Man Tavern. For a book that became invisible that’s pretty good going. But how did the book happen? In my teens I decided I’d become a writer. The decision part was easy, it was succeeding that was hard. So I wrote short stories and horror poetry. I got rejections, including one from a guy who described my fiction as ‘too far-fetched;’ he later went to jail for perpetrating a fraud that was so far-fetched his would-be victims saw through it and he was promptly arrested. By the time I hit twenty I was placing tales with the small press and radio. One of the magazines that regularly featured my work was a bright yellow journal by the name of Back Brain Recluse, later to become BBR Magazine. One day its editor, then just graduating from university, suggested that I might consider writing stories that would then appear in a collection. I hadn’t written a book at that time. Chris Reed hadn’t published one. Heck, it looked like a disastrous teaming from the start. Yet this was the important part of my nascent writing career. This was where the magic began, because Chris shrewdly set out the parameters of the book and its publication. He didn’t have the resources to issue a mass-market edition, and had no money to promote it; like commandos with our backs to the wall we had to make every bullet count. So this was the plan: I’d deliver six new stories. They would be illustrated by Dallas Goffin, introduced by cutting-edge rock-journalist/poet Andy Darlington, then publish a few hundred in paperback. Chris’s key to making the book a success was to market it as a publishing ‘event,’and to drive the message through my skull that the tales I produced must not only be the best I’d every written, but be different -- explosively different from what was appearing at the time. He encouraged me to make them more brutal, more horrific, more a grab-ya’-by-the-balls-and-erupt-in-your-face style of fiction. When the slim yellow volume appeared in 1990, a time when the horror small press in the UK barely existed, we promoted Blood & Grit as hard as we could with a mass-mailing of flyers and review copies. If there’s a message for anyone reading this with their own first title in production it’s this: sweat that book hard. Promote it with great cunning and energy. Don’t expect it to make millions. But treat it as the key that will unlock your writing career. We targeted the local media. And it worked. I was interviewed on radio; I appeared on TV; they even animated scenes from one of the stories. And here’s one technique that worked for me: if you’re starting out as a writer set one of your stories in your hometown -- a town where nothing much happens is ideal. Have fantastic events occur in recognizable locations. The local newshounds will find it irresistible. So this is the story of my first book. A little paperback that, as far as the bookstores are concerned, is not only out of stock, it’s invisible. Sometimes it’s even invisible on my own bookshelf. But do you know something? It’s still working its magic. It helped get me where I am now: I’m writing fiction all day -- and I’m still loving it. 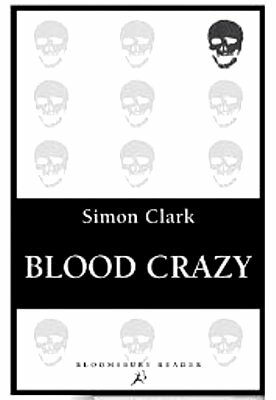 See all of Simon's books HERE. 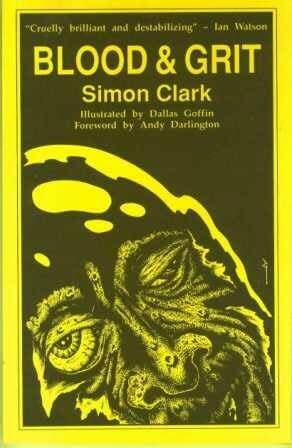 SIMON CLARK lives in Doncaster, England. 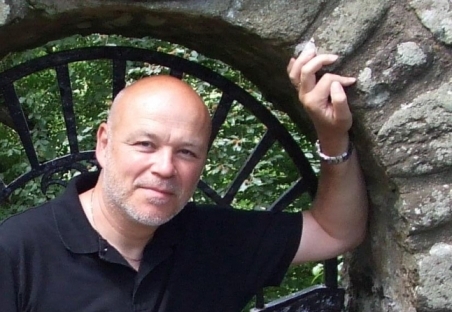 When his first novel, Nailed by the Heart, made it through the slush pile in 1994 he banked the advance and embarked upon his dream of becoming a full-time writer. Many dreams and nightmares later he wrote the cult classic Blood Crazy. Other titles include Darkness Demands, Stranger, On Deadly Ground and The Night of the Triffids, which continues the story of Wyndham’s classic The Day of the Triffids. 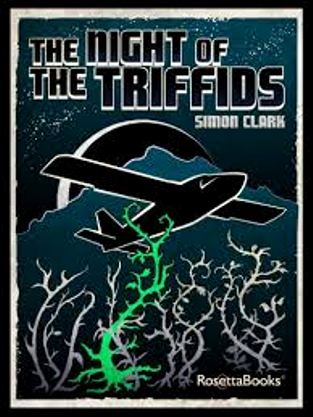 The Night of the Triffids has been adapted as a full-cast audio drama by Big Finish. Simon’s latest novel is Inspector Abberline & the Gods of Rome, a crime thriller featuring the real-life detective who led the hunt for Jack the Ripper.